This tutorial explains Step by Step procedure about STMS and Transport route configuration, Please proceed as following points. Step3. Put a T-code (se06) in the command field. Step5. Put a T-code (STMS) in the command field and give a description then save it. Step7. 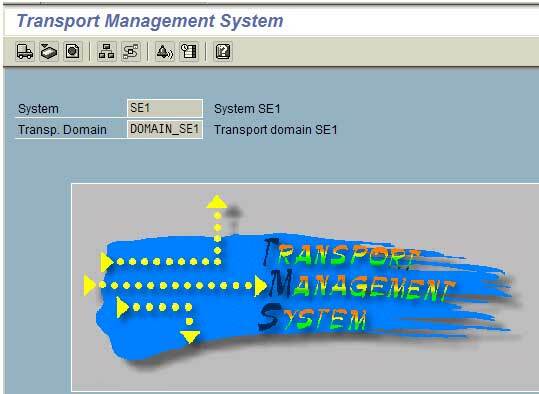 Back to the stms main screen and click Transport routes from the push button. Step8. Click Configuration button from the Menu. Step9. Click Distribute and activate from the configuration menu. Step10. Now your SAP system is activated in domain controller. Step11. Now login to QAS system. Step13. Put a T-code (se06). In the command field. Step15. Put a T-code (STMS) in the command field. Step16. Click other Configuration push button in the bottom of appear screen. Step19. Now QAS is waiting for include domain controller. Step20. Login to Development system. Step21. Click system overview push button. Step22. Click sap system from the menu. Step23. Select the QAS systems. Step24. Click Approve button from the SAP system menu. Step25. Now QAS is member system of domain Controller. (Development system). Step26. Suppose if you want configuring Production also, following the same step in the QAS. when i try to include Production system in the Transport routes, its shows password not 0 length. minimum password length required, so unable to include Prod sys in the tms. Can you post the screenshots, I dont find the other configuration button for quality system. can you show me where exactly the button is. ?